With age comes maturity -- and dull songwriting? Nobody wants to think that as we age, we lose our inspiration or our muse. Maybe as the years pass, we become more concentrated versions of ourselves. We've already weathered the crap that is adolescence, as well as the potentially rocky 20s, when we're supposed to be responsible, independent adults but are actually living in our parents' basements. Once the 30s hit, those of us who've made it can take some time to enjoy exactly who we are -- very few or no crises to deal with, stable relationships, and maybe even a couple of delightful children. The more I think about this, the more it seems that time to contemplate would lead to boredom -- and by extension, boring musicianship and boring songwriting. Alanis Morissette falls into this category. Far be it from me to wish misery on someone simply so they will compose more interesting and passionate music, but quite honestly, now that this "former infatuation junkie" has dropped the loser boyfriend, found some form of spirituality, and moved on to a more caring significant other, she's totally lost her edge. So-Called Chaos, her fourth full-length release on Maverick records, presents Ms. Morissette as the strong, balanced 30-year-old that she really is. And I'm happy for her, I guess, but come on. One can only take so much well-adjustment before one gets sick of the instrumental and vocal sappiness and moves onto greener, more tormented pastures. Jagged Little Pill blew everyone's minds in 1995. 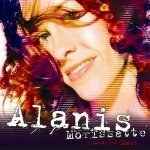 Alanis Morissette was 21 and everywhere. She got a whole bunch of whiny, sad girls to embrace anger instead of self-pity and introspection. Granted, Morissette was never a true Riot Grrl, but she meant a lot to millions of people around the world. Now that she's figured herself out, even her new songs about heartbreak sound tame. The only exception to this disheartening trend is the first track on the album, "Eight Easy Steps". In typical Morissette verbosity, she makes a list of all the ways to lead a despondent lifestyle while at the same time appearing to everyone else perfectly normal and happy. The lyrics "How to stay paralyzed by fear of abandonment / How to defer to men in solvable predicaments / How to control someone to be a carbon copy of you / How to have that not work and have them run away from you" are set to a frenetic Middle-eastern dance beat until the chorus kicks in. "I'll teach you all this in eight easy steps", she belts out in one shining moment of Alanis Anger. It's refreshing, but it's pretty much the last you'll see of it. "Out is Through" and "Excuses" dissolve into new-agey synth compositions and sensitive girl lyrics about self-limitation and imagination. They're pure and sickly-sweet pop tunes. "Knees of My Bees" is just silliness-with-a-promising-sitar-opening. Morissette gushes about an inspirational person (presumably a lover) that makes the "knees of [her] bees weak". Good grief. Shudder. The title track proves slightly more interesting. Throwing some tablas into the mix, Morissette runs through her lists of woes that plague everyday life, then follows them up with her antidote -- running through the street naked and embracing the "so-called chaos that you think [she] dare not be". "Spineless" also lets out glimpses of Angry Alanis when she promises, "I'll be subservient and spineless . . ./ I'll be opinion-less and silent / I'll be the prettiest appendage to ever lose herself". The blatant sarcasm is snigger-worthy, but again, oddly refreshing and invigorating. The obvious rebuttal to my complaint that Morissette was a more intriguing artist when she was hurt and miserable is, "Screw you. Why should I be defined by my rage or lack thereof? I have every right to be an artist even after my life has improved." And to this, I will say, "You are certainly correct. But we as listeners reserve the right to not buy your records because they aren't nearly as good."